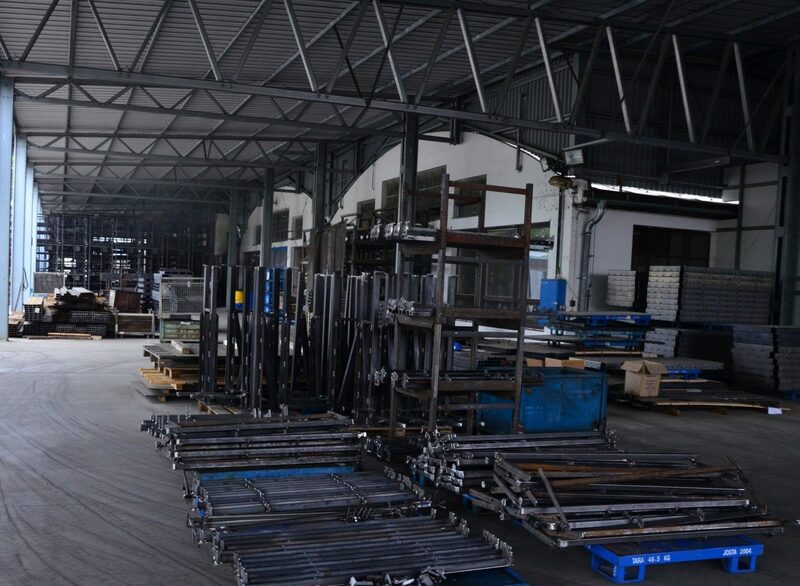 The basis of the HP – KOVO production program is the production of universal and special welded structures: prototypes, pallets, horizontal, vertical and oblique registers and other steel structures. We manufacture all components in accordance with the strictest qualitative requirements. Many components (such as carriers, column bodies, stoppers, etc. in the production of registers) are manufactured in our own laser centre, which operates with preciseness of tenths of millimetre. We emphasize the fulfilment of the requirements of the quality management system and meeting the requirements of the customers, both in terms of meeting delivery deadlines and of the quality of the production. To meet these goals, we use modern methods of production planning and management, as well as several-stage management of inspection activities. We constantly equip our inspection workplace with new measuring and control devices. At present, 80 employees work in HP – KOVO. The actual welding capacity exceeds 2,500 hours per week. The production premises are equipped with laser machines, folding and hydraulic presses, welding robots and other machinery.